Broadband @ Home » Features » What Are the Best 4G Cities? What Are the Best 4G Cities? What are the best 4G cities? This truly is a difficult question, and one that can and cannot be answered. Each carrier has its own terminology for the type of network they have. Some say they have 4G, some say LTE (long-term evolution), and another will tout a 4G LTE network. Carriers are still creating their versions of the 4G network. How fast are they? That is another matter. Which Carrier Really Has a 4G Network? That depends. The reason is that there really is no specifically outlined definition for 4G networks that all the carriers will use. Right now, the term “4G” is more of a marketing phrase than a reality. 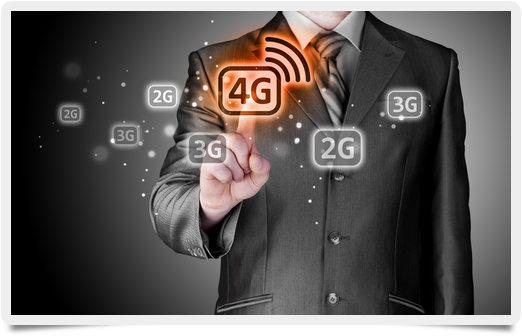 The International Telecommunications Union (ITM) has defined what a 4G network should consist of, and as of yet, no carrier meets these requirements; however, they all claim to have 4G networks. These 4G networks may not meet the ITM’s requirements, but there is no doubt they run much faster than the 3G networks, and, therefore, are a new generation of network. Well, how fast are you going? According to Network World, a slow-moving mobile user could be getting 1 Gbps, while a user that is moving fast may only reach speeds of 100 Mbps. The user’s altitude and their distance from a cell tower can also make a large difference in bandwidth speeds. Carriers mention average speeds for certain areas or zones, but there are a lot variances that can change the carrier’s signal. The best way to determine this is by testing it. A neutral entity should conduct a random experiment across multiple networks, multiple locations, and utilize multiple variances to determine which city truly has the best 4G service. So, find out your bandwidth speed by visiting BandwidthPlace.com, and send a tweet. Use the hashtag #best4G, and tell us your city and bandwidth speed.